UKMET guidance suggests intense major, anywhere between the 3-5 range. 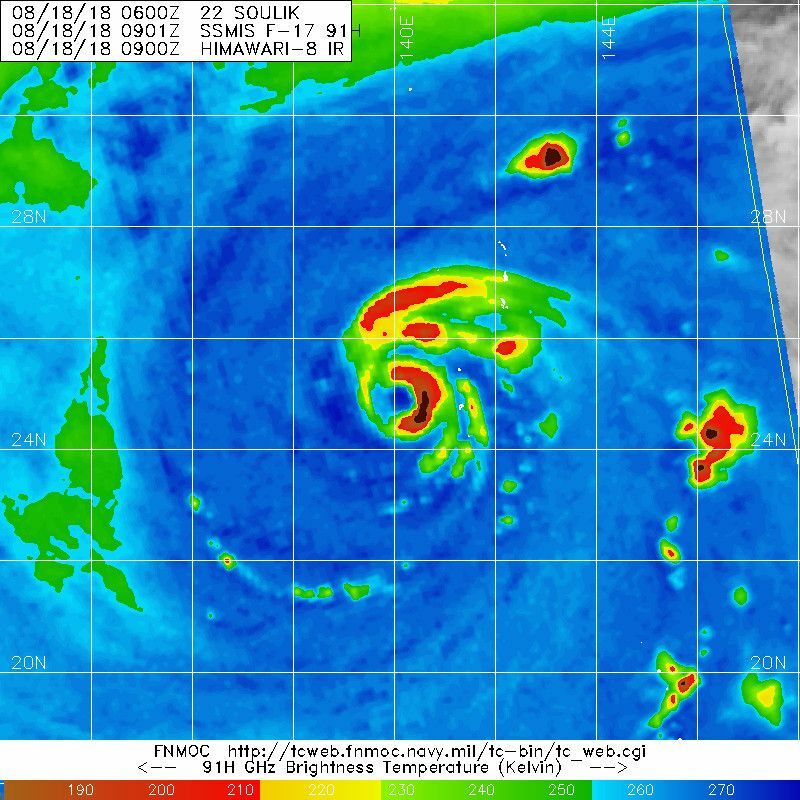 Looks like a T5.0 to me now but microwave suggested that the western eyewall is still open. 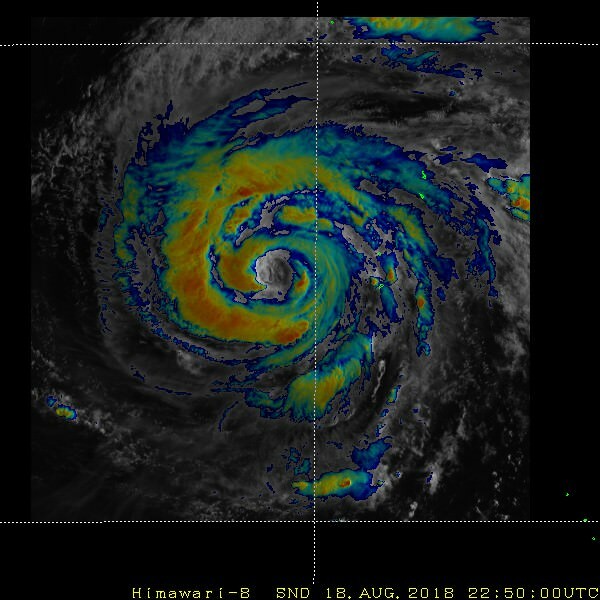 Current structure probably does not allow for some real rapid intensification. BY A MID-LATITUDE TROUGH TO THE NORTH. IN THE JTWC TRACK FORECAST IS LOW THROUGH TAU 72. DT OF 5.5. MET/PT 5.5. DBO DT. EYE DIAMETER 25NM. Georges('98), Allison('01), Isidore('02), Lili('02), Frances('04) Ivan('04), Cindy('05), Katrina('05), Rita('05), Gustav('08), Isaac('12), Matthew('16), Harvey('17), Irma('17), Nate ('17). It better start moving soon. Not a major right now IMO. Instantaneous DT down to 4.5 now. For this type of systems it’s better to adopt a three-hourly average DT instead of just looking at a single frame. 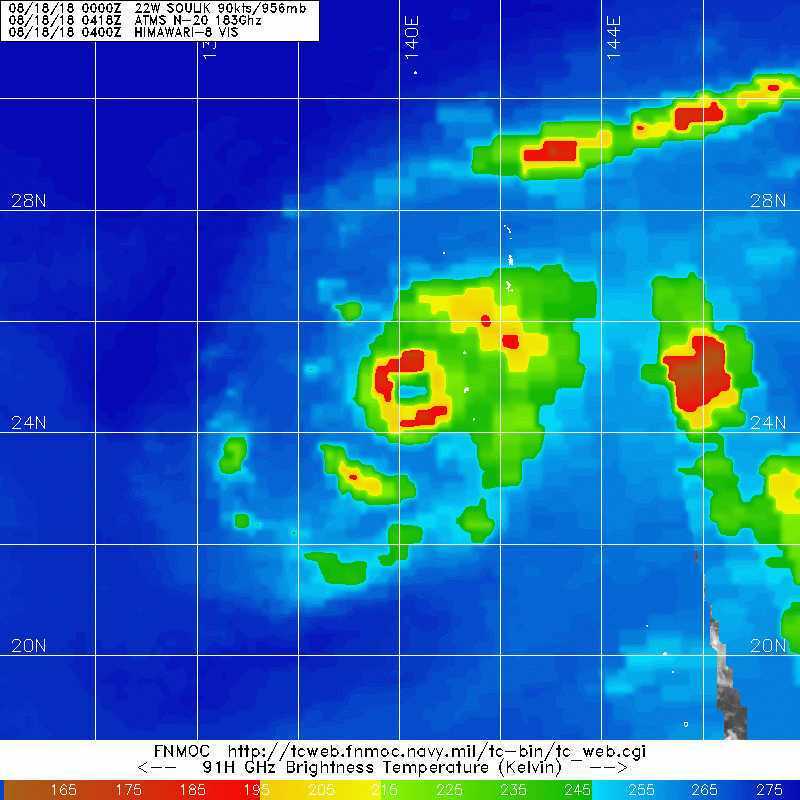 Dry air entrainment evident on both microwave and EIR. 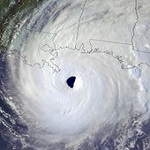 AN APPROXIMATELY 25 MILE EYE IN ENHANCED INFRARED SATELLITE IMAGERY. A MID-LATITUDE TROUGH TO THE NORTH. FEW HOURS, TY 22W WILL ACCELERATE WEST-NORTHWESTWARD TOWARD KYUSHU. TRACK IS MODERATE BASED ON THE SPREAD IN THE MODEL GUIDANCE. TEMPORARILY ENHANCED AS 22W TAPS INTO THE SHORTWAVE TROUGH. 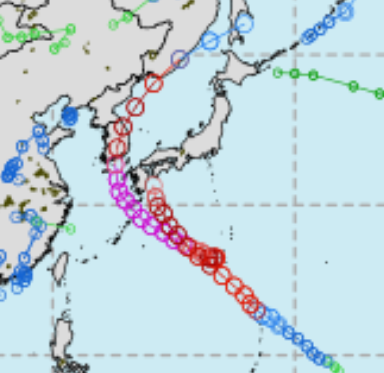 18z GFZ Western Pacific run is impressively catastrophic. Big eye likey caused by the subsidence in the core from the up-welling ?